There was a time that whenever a series or a gag from TVF channel on Youtube got released, people used to make it viral just as their channel name suggests. But it has been almost 2 years since the channel is out of focus because of multiple allegations against one of its founder. 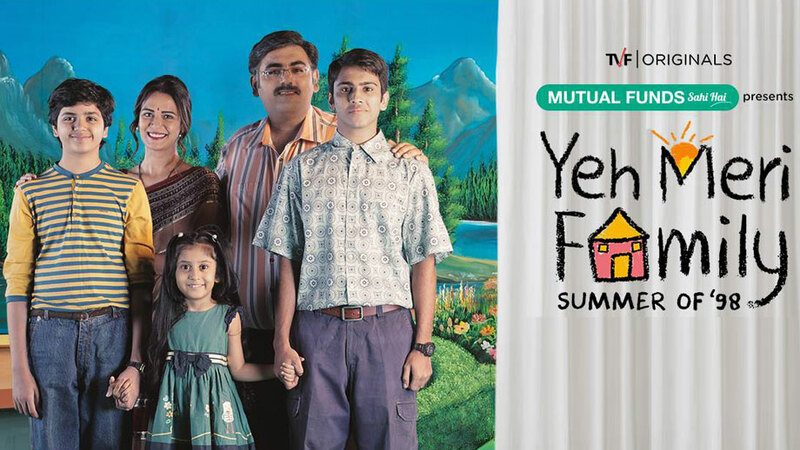 Finally, the TVF has come again into notice with one of its latest web-series release this year named “Yeh Meri Family” which is based in the summer of 1998 and promises to bring back all the flashbacks of your 1990s lifestyle and make you enough nostalgic. Yeh Meri Family is a 8 episodes long series with each episode of around half an hour. The writing of the series is very gentle, sweet, simple and does not try to overdo things which satisfies the purpose with which the series has been made. The casting is perfectly done with all the family members playing their part perfectly and ensuring that you can relate with each one of them. The protagonist here is Harshu, a 13 years-old boy, who also sees at camera and speaks with his audience and let them know his feelings time and again whenever he is stuck somewhere. The series shows him discussing all his secrets with his best friend who talks like an adult which everyone of us have experienced. It shows the big brother bullying his younger brother every now and then and takes his strong trump card forcibly. It also shows how adult magazine and films start becoming new adventure for the teenagers. A mother is shown cribbing in every episode depicting their daily life expecting perfection from everyone but except her, everyone is there to make her life hell. How children do not get inspired by their father but later after realizing their father’s skill or commitment for them, they start respecting and adoring them is also one of the primary things in one of the episodes. Overall, Yeh Meri Family is an above average watch which you will enjoy for the sole reason of finding your childhood in it otherwise there is nothing extra-ordinary or over-the-top or revolutionizing. It is certainly a one-time watch. I shall rate this series 3 stars out of 5.